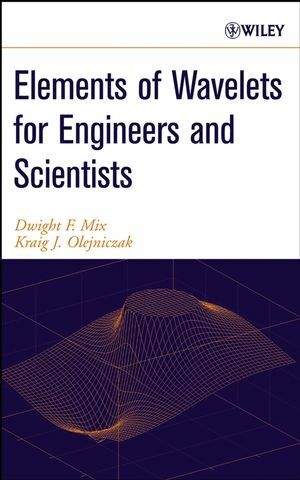 Elements of Wavelets for Engineers and Scientists is a guide to wavelets for "the rest of us"-practicing engineers and scientists, nonmathematicians who want to understand and apply such tools as fast Fourier and wavelet transforms. It is carefully designed to help professionals in nonmathematical fields comprehend this very mathematically sophisticated topic and be prepared for further study on a more mathematically rigorous level. Detailed discussions, worked-out examples, drawings, and drill problems provide step-by-step guidance on fundamental concepts such as vector spaces, metric, norm, inner product, basis, dimension, biorthogonality, and matrices. Chapters explore . . .
. . . as well as many new wavelet applications-image compression, turbulence, and pattern recognition, for instance-that have resulted from recent synergies in fields such as quantum physics and seismic geology. Elements of Wavelets for Engineers and Scientists is a must for every practicing engineer, scientist, computer programmer, and student needing a practical, top-to-bottom grasp of wavelets. DWIGHT F. MIX, PhD, PE, is Professor Emeritus at the University of Arkansas, where he taught from 1965 to 1998 in the Department of Electrical Engineering. Kraig J. Olejniczak, PhD, PE, is Dean of the College of Engineering at Valparaiso University. He served on the faculty of the University of Arkansas Department of Electrical Energy from 1991 to 2002. 10. Practical Wavelets and Filters.